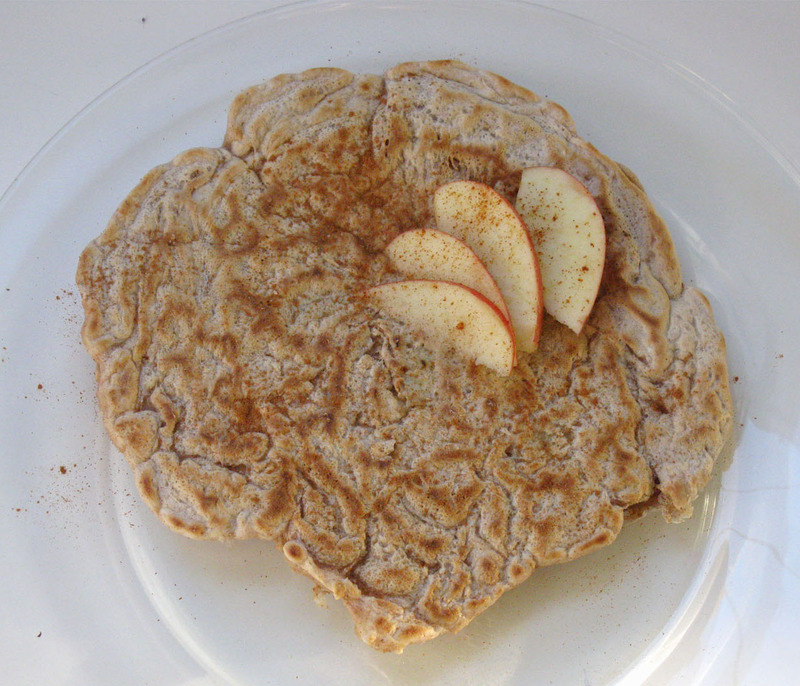 Oatmeal Apple Cinnamon Pancakes | Live. Learn. Love. Eat. This morning the girls were begging for another pancake breakfast and since I have so many apples from my mother-in-law’s apple tree to use up, it was Oatmeal Apple Cinnamon Pancakes. I love pancakes because they are quick, easy and delicious with pure maple syrup. These are very filling, with the oatmeal and whole wheat flour, so you can be sure you’ll be satisfied right up until lunch. Heat a non-stick skillet on medium heat. In a medium mixing bowl, combine the flour, oats, baking powder, sea salt and cinnamon. In a separate small mixing bowl, combine the ground flax seed and warm water to make your flax egg. Add the sunflower oil and milk to the flax egg in the small bowl and whisk until combined. Add the diced apple to the egg/milk mixture as well. Pour the wet ingredients into the bowl with the dry ingredients and mix until combined. Pour the pancake batter 1/2 cup at a time into the heated skillet. Cook the pancake a few minutes, until small bubbles begin to show through the batter. Flip the pancake over and cook a minute or two more. Repeat to make 6 pancakes. Serve with vegan margarine and pure maple syrup. Today I have a lot of cleaning to do and also wanted to spend some time in the kitchen. I am trying to get in the habit of having vegetables and fruit cut up so that they are ready when I need them to cook with or to have on hand for snacking. Also, there are definite plans to get out into that sunshine! Could this weather get any more beautiful? Scrumptious, I just made them!